Penetrators su američki proto punk/ garage rock bend iz Syracuse, New York, formiran 1976. od glavnog vokala Jacka Liptona i multi-instrumentalista Eliot (Spike) Kagana. Za Solin Live govore kako su se upoznali i započeli s glazbom, glazbenoj sceni u New Yorku tokom 70.ih, razlog zašto su bili cenzurirani na MTV-u, te o svom statusu underground legendi. For the start, please tell us about your influence (I notice a lots of 60’s vibe in your music), beginnings,since you start at dawn of punk rock, in 1976., what was the scene in New York and Syracuse back in those days? I would love to compare you two guys, Jack & Eliot like Manco & Mortimer from classic For a Few Dollar More. Jack–My early influences were Primarily “Mid Sixties /Late Sixties” Rock & Soul. I guess the “Usual Culprits” people like The Rolling Stones , Steppenwolf , & Sam & Dave …but as time went on..I was drawn to “Strong & Soulful” singers like Wilson Picket , Jim Morrison , & of course Eric Burdon. It was simply a tremendous time for Popular Music. In the “Mid Seventies”..I began to hear bands like Kiss & The N.Y. Dolls..and the “Glam” label…started to get thrown around. Finally in the Late Seventies/Early Eighties…PUNK was born & Bands like The Ramones , Blondie , & The Clash….drew my new interest. “These Days”…I’m looking for New Music…with a “Rock Feel”..that sounds Relatively Simple & Authentic. I avoid things like “Electronic Dance Music”. Spike—I share many of the same influences as Jack, although I also had and have some major influences that were quite different as well. I went through some serious phases back then. A major Stones fixation, followed by a serious Zappa phase, and then seriously into the Kinks and various other rock bands to follow. I also love and loved Jazz, Reggae, Soul, classic Country, and you can hear a lot of those influences in my early pre-Penetrators stuff on “Yeah! Yeah! Baby!” on Rave Up. Like Jack, I followed all the trends in the 70’s and finally felt we were ready to put our own stuff out in the same time frame. Jack–Ok lets talk about the “Beginnings of The Penetrators”. I’ve got to say…”To this very day”..I’m still asked to take people by Cooper Lane in Dewitt , N.Y. (A Suburb of Syracuse)…to show them the Residential House…whose “Basement”..served as the launching Pad for The Penetrators & other related matters….”Yes”-I’m talking about the Legendary Cheese Studios (A 4 trak Enterprise-launched in the Basement of Eliot’s Parent’s House.). THAT was “Where the whole thing started”. Eliot was a Child Prodigy Cross between Brian Jones (He could pick up any instrument & play it immediately)…Phil Spector (A gifted Producer..who could maximize results..from the limited facilities)…A COOL Vocalist (Who I studied a lot from)..& A Gifted Songwriter…(Truly Brilliant). While many of our peers engaged in activities like Sports & “Climbing Social Ladders”..we..”Hunkered down in the Basement”..often during those Frigid Syracuse Winters..and we….welllll……….”RECORDED”. Along with Bandmates like Curtis “Scandalizer” Seals & Fred Rapp…..many of the early of the Classic Penetrator Hits…were recorded in between binges on Chinese Food..Iced Tea. & Fritos. 1976 is Significant ..(THAT is when we got Focused & Organized)..In one afternoon we Created the “Name”..(The Penetrators)..Our in House Record Label (FRED Records)…& Decided to emphasize the “Punk” aspects of our Sound…..Things kinda..”took Off”…. We had been truly “LIVING the Teenage Lifestyle”…but now..We were focused on “Broadening our Horizons”…. Spike—Jack put it very well about our early recording sessions, but even in the emphasis on “Punk”, we also did shout outs to Archie Bell and the Drells with our spoken intro on “Gotta Have Her”, the song that started it all for us that fateful day in August 1976, though released later in early 1979. Jack–The Much “Talked About”..”Punk SCENE”..in Syracuse N.Y. (In the Late 70’s/Early 80’s)…YEA…it was..”REAL”…DEFINITELY. Many “Punk”..or “New Wave”..Etc..Bands ..Roamed an assortment of Venues…that catered to this vibrant new energy. Per Capita (Relatively Small Syracuse-had more than it’s share)…We made a lot of freinds & contacts…& Chose to define our Live Shows…in a kindof a “Grungy Garage Primitive” Sound & Demeaner. This contrasted with the more Polished “Power Pop Sound”..that others eschewed. “THATS” where the” essence” of where A Penetrators Live Show was Born..& ..Still continues on..Largely Unfiltered..to this day. Spike—It was a great scene and very fondly remembered. You released the well known 7′ single Teenage Lifestyle/Rock’N’Roll Face in 1979 as well debut album Kings of Basement Rock (which is consired a cult album) in 1988. but the video for a song Shopping Bag was banned on MTV in 1982. Please tell us about your debut album,reason for being banned on MTV, did you released more stuff since your last album was Bad Women from 2008. Jack–“Teenage Lifestyle”b/w “Rock’n’Roll Face”..was our Second FRED RECORDS Release. I remember after Feasting on Chinese Food…we ventured down to Cheese Studios..to Lay down the Vocal Track. “As best as I can Recall”…we did two takes & Went with the 2nd. Spike & I..looked at each other…we KNEW we had Captured something…SPECIAL. (turns out we were right..it’s one of our best known tunes..and DECADES..after the fact…it’s still being recorded by new..young Punks..Like The Wild Zeroes…The Evil Engines..& The Dead Ghosts). Spike—Recording “Teenage Lifestyle” in 1979 was a real gas and a true memorable moment for both Jack and myself. I remember working on the instrumentals that summer with great enthusiasm, and the response we’ve gotten over the years for it is truly heartwarming. Jack–“Kings of Basement Rock”…A cool collection of songs that had been previously released as 45s…as well as some Previously Unreleased Material. Again..I KNEW we had put together something….Really GOOD & Kinda Different. (A REAL GARAGE ALBUM….well at least a Real “BASEMENT” album…close enuff’… A strong collection of tunes..great packaging….it remains our Best Known Album). AUTHENTIC UNFILTERED ROCK’N’ROLL ENERGY….!!!!! Spike—Many thanks to VENUS Records for putting out that record when nobody else would take a chance on our basement music style. Jack–RE: The “Shopping Bag” Video…being rejected by MTV…I’m pretty sure Spike still has the rejection letter..maybe it’s best..just to SHOW the letter..in the Interview. Obviously a HORRIBLE CALL , on their end..It’s gone on to become a CLASSIC…in it’s own right…!!! Spike—Windian Records of Washington D.C. put out “Shopping Bag”/”Everybody Needs Loving” as “The Great Lost Penetrators 45″ in 2014 and a copy of the MTV rejection letter is included in every copy of the 45. Jack–Our Latest Album….”LEGACY” was Released in 2017 amidst an array of Great Reviews. It even was Nominated for a Syracuse Area Music Award (A SAMMY). It features (9) Great , Original Tunes . We “Self Released” it ourselves…We ARE actively looking for a Label..to release it on VINYL. Spike—Slovenly also released a 45 of our two hot tracks “She’s The Kinda Girl”/”Take A Stand” in 2015, and these two tracks were the kickoff tracks on the “Legacy” CD that we self released on FRED Records in 2017. You been on scene for 40 years which makes you sort of pioneers of punk rock, you been praised by big names like Henry Rollins and yet there a so little informations about Penetrators ( which gaves sort of mysticism). 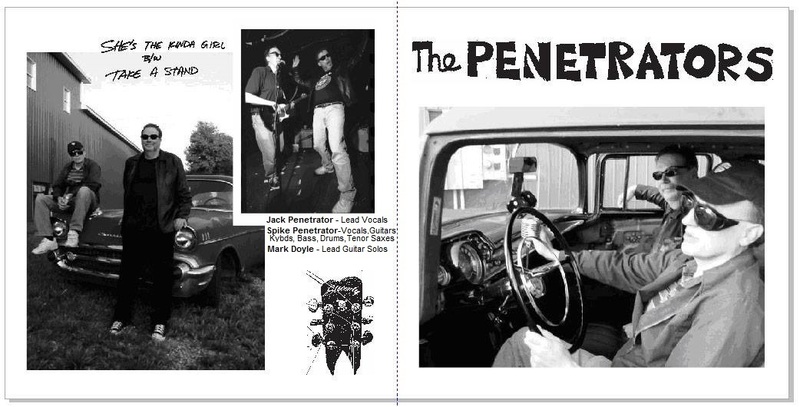 What is the reason that Penetrators, such a brilliant band are not know to wider audience, even they are considered the founders of Garage Punk and did you had side projects in the meantime ? Jack–Well I’d say …if you Google us..”The Penetrators”…”The Syracuse Penetrators”…’Spike Penetrator”..”Jack Penetrator”..weed thru it all & there’s a pretty fair amount of information. I’ve noticed “over time”…Things tend to “Drop out of Google”. I’m not sure why. Spike is working on Revamping our Wikipedia Page -HE would be the best person to elaborate on that. Spike—We’ve been very fortunate to have cult support at the right times by major scene makers like Henry Rollins and others. I can’t go into all their names, but I should mention we had support for live “reunion” gigs from such local scene notables as John Schooley, Chad Houts, and Travis Jackson and their respective backup bands over the years. 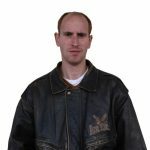 I’m working on a Wiki page that will be on www.fredrecords.com/Wiki.htm because Wikipedia is such a tough nut to bust. Discogs is actually doing a lot better job of documenting the full extent of our discography (and other KBD artists) than Wikipedia. https://www.discogs.com/artist/884436-The-Penetrators-2 I even found out that “(I Like) Brooklyn” had been comped on a CDR called “Various ‎– Bloodstains Across New York #2 – Punk Rock Rarities 1977-83 ” in 2010. Jack–“Basement Anthology 1976-1984 ” Released on SWAMI Records got MAJOR Distribution in the U.S. & Abroad. A good amount of Good Reviews & Radio Play was Generated. We even Received an (A-) Grade in THEEE Entertainment Weekly Magazine !!! It remains our Biggest Seller & it’s as close to the “Bigtime”..as I think were gonna get. As stated earlier: “Teenage Lifestyle” , “Shopping Bag” , “Kings of Basement Rock” & others..are Regarded..”Decades Later”..as Cult Classics…to this day…!!! Spike—As mentioned earlier, we’ve gotten great independent record label support from such notables as Bill Shor’s VENUS Records, Pierpaolo DeIulis’ RaveUp Records of Rome, Italy, Swami John Reis’ Swami Records, Pete Menchetti’s Slovenly Records, and Travis Jackson’s Windian Records over the years. You can get a lot of our vinyl and CD releases at the ebay store of Fred Records https://www.ebay.com/str/Fred-Records . Another classic “Drive Me Crazy” was covered by The Tie Reds in 2003, and we have the vinyl reissue of that CD in our ebay store. Jack–I’ve got TWO Solo CDs: “Forgotten Boy” a 10 Song Retrospective Collection & “Badboy” a Four Song CD/EP. I tackle material ranging from “Straight Up Rock”..to Blues…to some “Soulful Musings”. It’s given me a chance to expand into some new markets. Spike has Solo Releases as well..Which I’m sure-he’ll be able to tell you about. Spike—I did a solo EP in 1980 and have some solo albums out on RaveUp which have gotten some nice reviews over the years. For the end, what are your future plans, I notice you are working on new Penetrators album and would you ever stop by in Split, Croatia? Jack–As far as Future Plans..I’d say Finding a Label for “LEGACY”..Would be Priority One. We are “Of Course”…”Open”..to Genuinely Good Offers..RE: Live Dates-or Other Matters…..Sayyyyyyyy…Hrvoje…What SIZE Crowd…Do you think..would show up for a Penetrators Show in…Split Croatia….??????? Spike—We’ve done “reunion” gigs and have had offers to do such gigs overseas like in Rome All we need is a backup band who knows our songs and two roundtrip airline tickets to the destination of the punk rock festival. Za početak, recite nam nešto o svojim uzorima (primjećujem podosta vibri ’60-ih u vašoj glazbi) i početcima. Budući da ste počeli 1976.,kad je punk rock bio tek u povojima, da li nam možete reći kakva je bila tadašnja scena u New Yorku i Syracuseu? Rado bih vas međusobno usporedio, Jack i Eliot kao Manco i Mortimer iz klasičnog For A Few Dollar Morea. Jack: Moji rani uzori su bili primarno rock i soul od sredine do kraja ’60-ih. Vjerojatno klasični krivci kao što su The Rolling Stones, Steppenwold i Sam & Dave, ali kako je vrijeme odmicalo, privlačili su me snažni i duhovni pjevači kao što su Wilson Picket, Jim Morrison i naravno Eric Burdon. To je jednostavno bilo izvanredno razdoblje za popularnu glazbu. Sredinom ’70-ih sam počeo slušati bendove kao što su Kiss i The New York Dolls i počeo se koristiti naziv „glam“. Naposljetku, u kasnim ’70-ima i ranim ’80-ima, rođen je punk i bendovi kao što su The Ramones, Blondie i The Clash su privukli moju pažnju. Ovih dana tražim noviju glazbu sa feelom rocka koja zvuči relativno jednostavno i autentično. Izbjegavam stvari kao što je Dance glazba. Spike: Sa Jackom dijelim mnoge uzore, iako sam isto tako imao i još uvijek imam neke velike utjecaje koji su jako različiti. U ono vrijeme sam prolazio kroz neke ozbiljne faze. Velika fiksacija na Stonese, kojoj je uslijedila ozbiljna faza Zappe, a onda ozbiljno u The Kinkse i razne druge rock bendove koji su slijedili. Također sam volio i još uvijek volim jazz, reggae, soul, klasični country, a mnogo tih utjecaja možete čuti u mojim ranim stvarima prije Penetratorsa na „Yeah! Yeah! Baby!“ na Rave Upu. Poput Jacka, pratio sam sve trendove u ’70-ima i konačno pomislio da smo bili smo spremni izdati naše vlastite stvari u otprilike istom vremenskom okviru. Jack: Ok, ajmo popričati o početcima The Penetratorsa. Trebam priznati da me i dan danas ljudi zamole da ih odvedem niz Cooper Lane u Dewittu (predgrađu Syracusea) u saveznoj državi New York da im pokažem stambenu kuću čiji je podrum služio kao odskočna daska za The Penetratorse i ostale stvari vezane uz to. Da, govorim o Legendary Cheese Studios (četverotračno poduzeće pokrenuto u podrumu kuće Eliotovih roditelja). TU je sve počelo. Eliot je čudo od djeteta i mješavina između Brian Jonesa (mogao je uzeti bilo koji instrument u ruke i odmah ga svirati) i Phila Spectora (nadareni producent koji je bio u stanju postići maksimalne rezultate uz minimalne uvjete), COOL vokalist (od kojega sam mnogo naučio) i nadareni kantautor (zaista briljantan). Dok su se mnogi naši vršnjaci bavili aktivnostima poput sporta i „uspinjanja na društvenoj ljestvici“, mi bismo se ščučurili u podrumu, često tijekom onih oštrih syraceuških zima, i onda bismo… pa… SNIMALI. Zajedno sa kolegama iz benda kao što su Curtis „Scandalzer“ Seals i Fred Rapp, mnogi od ranih klasičnih hitova Penetratorsa su snimani u stankama između prežderavanja kineskom hranom, ledenim čajem i fritosom. 1976. je bitna (TADA smo postali fokusirani i organizirani). U jedno popodne smo smislili ime (The Penetrators), našu kućnu izdavačku kuću (FRED Records) i odlučili da naglasimo „punkerske“ aspekte našeg zvuka. Stvari su se nekako „odrazile“. Bili smo živjeli tinejdžerski način života, ali sada smo bili skoncentrirani na širenje naših horizonata. Spike: Jack je to jako dobro rekao o našim ranim snimanjima, no unatoč naglašavanju „punka“ smo davali posvete Archie Bellu i The Drellsima sa našim uvodnim recitalom u „Gotta Have Her“, pjesmi kojom je za nas sve započelo toga sudbonosnog dana u kolovozu 1976., mada je izdana kasnije u ranoj 1979. Jack: Što se tiče basnoslovne punk scene u Syracusei N.Y. u kasnim ’70-ima i ranim ’80-ima… Da… bila je ISKRENA… DEFINITIVNO. Mnogi punk i new wave i slični bendovi su harali mnogim pozornicama, što je stvaralo živahnu novu energiju. Relativno mali Syracuse je imao više nego dovoljno bendova po glavi stanovnika. Stvorili smo mnogo prijateljstava i kontakata i odlučili bazirati naše nastupe uživo na više grungy/garažnom/primitivnom zvuku i nastupu. Ovo je bilo u kontrastu sa čišćim power-pop zvukom kojeg su drugi izbjegavali. TU je rođena bit nastupa uživo Penetratorsa i ostala je, uglavnom nefiltrirana, do danas. Spike: To je bila izvrsna scena koje se uvijek rado prisjeća. Izdali ste popularni 7” singl „Teenage Lifestyle/Rock’N’Roll Face“ u 1979., kao i debitantski album „Kings of Basement Rock“ (koji se smatra kultnim albumom) u 1988. Nažalost, video za pjesmu „Shopping Bag“ je maknut sa MTV-a u 1982. Molim vas recite nam nešto o svom debitantskom albumu i razloge za zabranu na MTV-u. Jeste li izdali još neke stvari budući da je vaš zadnji album bio „Bad Woman“ iz 2008. Jack: „Teenage Lyfestye“ b/w „Rock’N’Roll Face“ je naše drugo izdanje za FRED Records. Sjećam se da smo nakon obroka sastavljenog od kineske hrane otišli do Cheese Studiosa kako bismo snimili vokal. Ako se dobro sjećam, uradili smo dvije snimke i odabrali drugu. Spike i ja smo se međusobno pogledali i ZNALI SMO da smo uhvatili nešto POSEBNO. Ispada da smo imali pravo, jedna je od naših najpoznatijih pjesama i DESETLJEĆIMA kasnije ju još uvijek snimaju mladi punkeri kao što su The Wild Zeroes, The Evil Engines i The Dead Ghosts. Spike: Snimanje „Teenage Lifestylea“ u 1979. je bilo jako zabavno i stvarno pamtljiv događaj i za Jacka i za mene. Sjećam se da sam toga ljeta veoma entuzijastično radio na instrumentalima, a prijem koji smo tijekom godina dobivali u vezi s pjesmom je stvarno dirljiv. Jack: „Kings of Basement Rock“ je cool kolekcija pjesama koje su prethodno izdane kao 45-ice, kao i ponešto prethodno neobjavljenog materijala. Opet sam ZNAO da trebamo sastaviti nešto stvarno DOBRO i nekako drugačije. PRAVI GARAŽNI ALBUM… pa, barem pravi PODRUMSKI album… dovoljno slično. Snažna kolekcija pjesama, super pakiranje. Još uvijek je naš najpoznatiji album. AUTENTIČNA NEFILTRIRANA ROCK’N’ROLL ENERGIJA!!!! Spike: Mnogo hvala VENUS Recordsu što su izdali tu stvar kada nitko nije htio pružiti šansu našem stilu podrumskog rocka. Jack – Što se tiče toga da je MTV odbio video za „Shopping Bag“… Prilično sam siguran da Spike još uvijek ima pismo kojim su nas odbili. Možda je najbolje da jednostavno POKAŽEMO pismo u intervjuu. Očigledno GROZNA ODLUKA sa njihovog stajališta – kasnije je pjesma postala KLASIK u svom vlastitom pogledu. Spike: Windian Records iz Washington D.C.-ja su izdali „Shopping Bag“/“Everybody Needs Loving“ kao „The Great Lost Penetrators 45“ u 2014. i kopija pisma kojim nas je MTV odbio je uključena u svaku kopiju 45-ice. Jack: Naš posljednji album „LEGACY“ je izdan 2017., popraćen mnogim dobrim kritikama. Čak je nominiran za Syracuse Area Music Award (SAMMY). Uključuje 9 odličnih originalnih stvari. Sami smo ga izdali. A trenutno tražimo diskografsku kuću da ga izda na VINILU. Spike: Slovenly je također izdao 45-icu koja uključuje naše dvije popularne pjesme „She’s The Kinda Girl“/“Take A Stand“ u 2015., a s ove dvije stvari započinje „Legacy“ CD koji smo samostalno izdali za FRED Records u 2017. Na sceni ste već 40 godina, što vas čini svojevrsnim pionirima punk rocka. Hvale vas velika imena kao što su Henry Rollins, ali ipak ima vrlo malo informacija o Penetratorsima (što vam daje auru mističnosti. Iz kojeg razloga da genijalni bend kao što su The Penetrators, koji se čak smatraju osnivačima garage punka, nije poznat široj javnosti i jeste li imali neke projekte sa strane u međuvremenu? Jack: Pa rekao bih da ako nas googlate („The Penetrators“, „The Syracuse Penetrators“, „Spike Penetrator“, „Jack Penetrator“) i prošvrljate po svemu, ima poprilična količina informacija. Primijetio sam da, kako vrijeme prolazi, stvari počinju nestajati sa Googlea. Ne znam zašto. 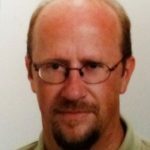 Spike radi na ponovnom oblikovanju naše stranice na Wikipediji, ON bi bio najbolja osoba da to objasni. Spike: Imali smo jako puno sreće što smo imali kultnu podršku velikih igrača na sceni, kao što su Henry Rollins i drugi, u pravim trenutcima. Ne mogu nabrojati sva njihova imena, no trebao bih napomenuti da smo imali podršku za live „reunion“ gaže od poznatih ljudi sa lokalne scene kao što su John Schooley, Chad Houts i Travis Jackson i njihovih dugogodišnjih pratećih bendova. Radim na Wiki stranici koja će biti na www.fredrecords.com/Wiki.htm jer je Wikipedija tvrd orah. Discogs je zapravo napravio bolji posao sto se tiče dokumentacije punog obujma naše diskografije (i ostalih KBD izvođača) od Wikipedije. https://www.discogs.com/artist/884436-The-Penetrators-2 Čak sam otkrio kako je „(I Like) Brooklyn” uključen u kompilaciju na CDR zvanu “Various – Bloodstains Across New York #2 – Punk Rock Rarities 1977-83” u 2010. Jack: “Basement Anthology 1976-84” je izdan za SWAMI Records je imao VELIKU distribuciju u Sjedinjenim državama i inozemstvu. Primio je velik broj dobrih kritika i emitiranja na radiju. Čak smo primili ocjenu A- na The Entertaniment Weekly Magazine!!! I dalje je naš bestseler i to je najbliže bigtimeu što ćemo doći. Kao što je već rečeno, „Teenage Lifestyle“, „Shopping Bag“, „Kings of Basement Rock“ i drugi se smatraju kultnim klasicima i dan danas, desetljećima kasnije!!! Spike: Kao što je već spomenuto, tijekom godina smo imali sjajnu podršku nezavisnih izdavačkih kuća u vlasništvu poznatih osoba kao što je VENUS Records Billa Shora, Rimski RaveUp Records Pierpaoloa Delulisa, Swami Records Swamija Johna Reisa, Slovenly Records Petea Menchettija i Windian Records Travisa Jacksona. Možete nabaviti mnoge od naših izdanja na vinilu i CD-ovima na ebay stranici Fred Recordsa https://www.ebay.com/str/Fred-Records Još jedan klasik, „Drive Me Crazy“ su obradili The Tie Reds u 2003., a imamo reizdanje tog CD-a na vinilu na našoj ebay stranici. Jack: Imam DVA solo izdanja: „Forgotten Boy“, retrospektivnu kolekciju od 10 pjesama, i „Badboy“, CD/EP od 4 pjesme. Hvatam se u koštac sa materijalom u rasponu od čistog rocka preko bluesa do duhovnih promišljanja. Pružilo mi je priliku da se uđem u neka nova tržišta. Spike isto tako ima neka samostalna izdanja o kojima će vam on sigurno moći reći više toga. Spike: Uradio sam solo EP 1980. i imam nekoliko solo albuma izdanih za RaveUp koji su primili dobre kritike tijekom godina. I na kraju, koji su vam budući planovi? Primijetio sam da radite na novom albumu The Penetratorsa. Biste li ikad svratili u Split u Hrvatsku? Jack: Što se tiče planova za budućnost, rekao bih da je prioritet naći izdavača za „LEGACY“. Naravno, dobre ponude su dobrodošle – nastupi uživo i ostale stvari. Reci, Hrvoje, KOLIKO ljudi misliš da bi došlo na nastup Penetratorsa u Splitu???? Spike: Već smo radili „reunion“ koncerte i dobivali ponude za takve koncerte s one strane bare kao na primjer u Rimu. Sve što nam treba je prateći bend koji zna naše pjesme i dvije povratne avionske karte do mjesta gdje se održava punk rock festival.